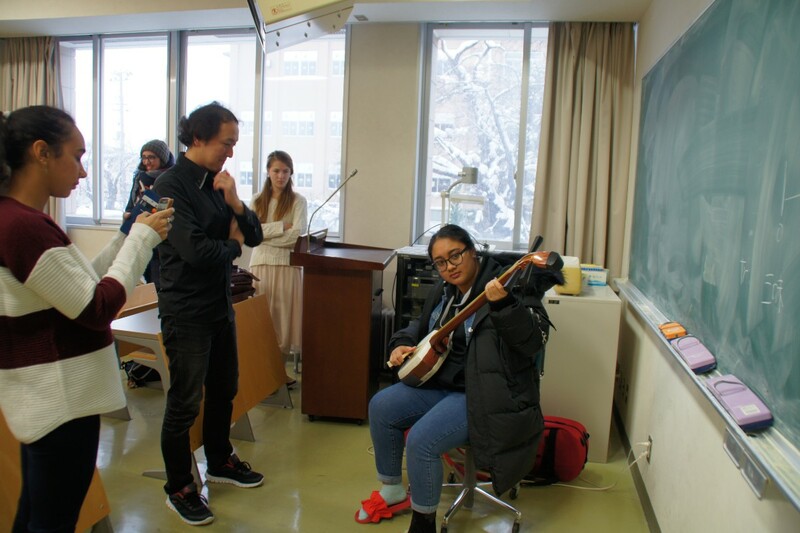 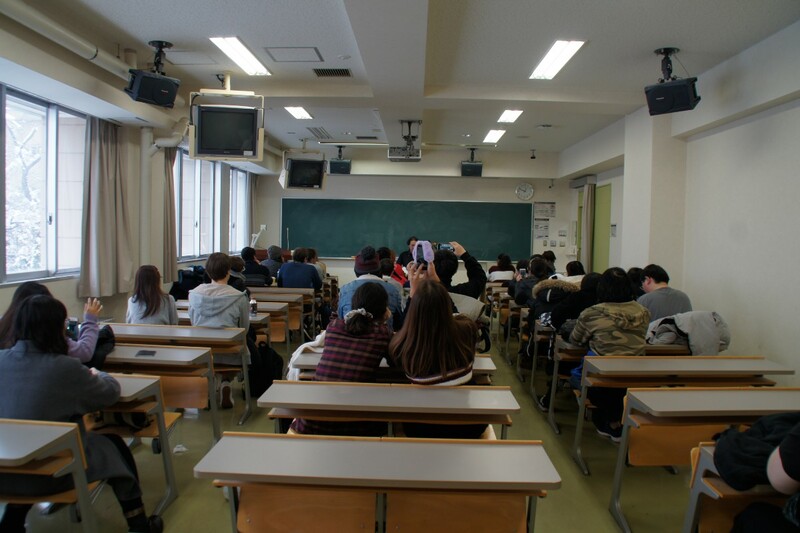 On December 12th students studying the cultural history of Tsugaru attended a special performance and lecture given by Tsugaru shamisen player, Sasakawa Kojin. 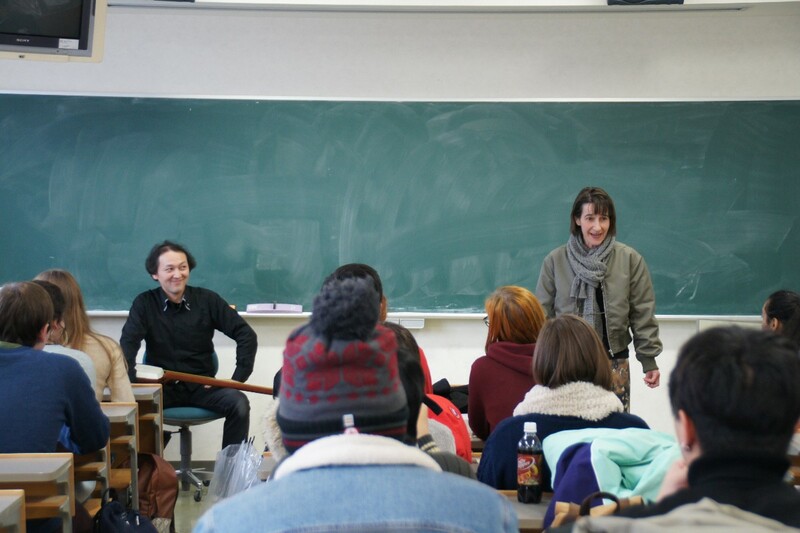 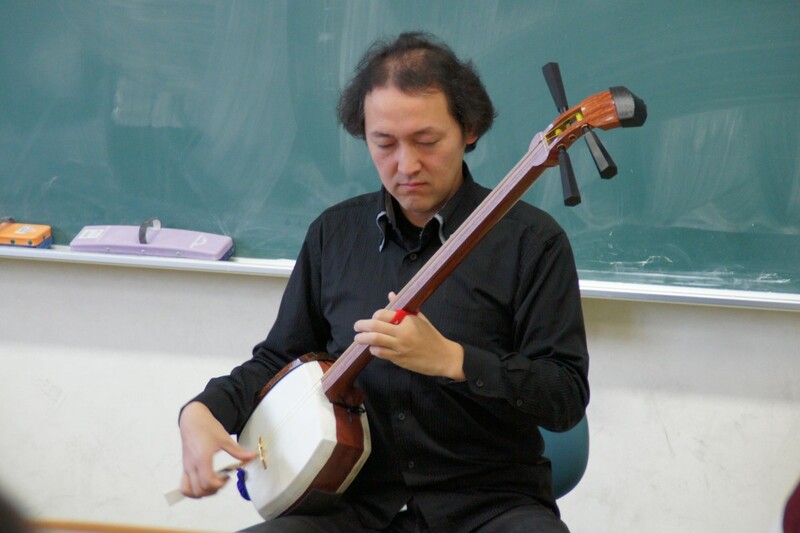 Mr Sasakawa interspersed his performance with lively commentary that deepened students’ understanding of the shamisen music that is distinct to this area. 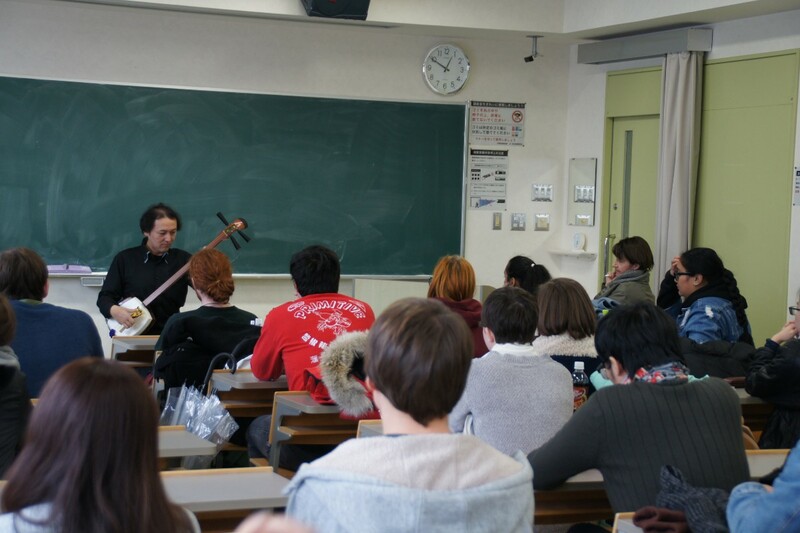 A few stayed behind to ask questions and try their hand at beating the strings of his instrument.